Accidents can occur anywhere, at any time. They happen for many reasons spanning from carelessness to deliberate and emotionally fuelled acts. Whatever the reason, when we are hurt as a result of these actions, it is important that we receive knowledgeable and trustworthy legal advice as soon as possible. In Ottawa, the attorneys at the Injury Lawyers of Ontario (ILO) affiliate offer vast experience in processing personal injury claims and in protecting the civil rights of injured parties. Many people are unsure what type of lawyer is needed after they or a family member are injured in an accident. 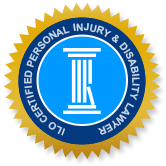 Common practice areas like car accidents, motorcycle accidents and slip and falls are generally known to require the services of a personal injury lawyer, but there are many other areas that we serve, including wrongful death, product liability, disability claims, brain and spinal cord injury, and catastrophic injury. A personal injury affects not only the victim but their families as well. Short and long-term injuries require serious care, emotionally, physically and financially, depending on the severity of the injuries. Accident victims commonly undergo hospital care and sometimes, multiple surgeries, followed by various rehabilitation treatments. In many cases, victims are unable to work and receive income, at least during a healing period, and sometimes permanently or on a modified work basis. Victims may require attendant care benefits, income replacement and may be entitled to general damages for pain and suffering. Building a case for compensation for seriously injured victims is a complicated process. For individuals inexperienced with claiming for accident benefits, which applies to the majority of people when making their first claim, the process of attempting to get needed benefits from your insurer can be an arduous uphill battle when insurance companies refuse benefits or abruptly cease payment when the injured person is still in need of continued care. Our Ottawa ILO legal team can provide a free consultation wherein we confidentially assess your case and lay out your options, so that you can make the best decision for you and your family. Our collective years of experience and professionalism are the solid foundation that your case will be built upon, with the primary goal of getting you your rightful compensation. In a typical week in our community, a number of our citizens as well as visitors to the Ottawa area will be seriously injured in an accident, most in motor vehicle collisions, but slips and falls and recreational accidents also frequently occur. For example, the extreme weather conditions we experienced in February 2015 contributed to over 140 weather related accidents reported in just over a few hours. Certainly, drivers can reduce their accident risk by driving carefully at a slower speed, maintaining a good distance between other vehicles when driving, keeping their eyes on the road, and ensuring vehicles are properly serviced and equipped with the correct tires. Although accidents are less likely when we are proactive about safe driving, the risk will unfortunately never be eliminated because there are some things over which we have little control. One of these is the behaviour of a careless driver whose negligent actions result in an accident and injuries to other drivers, passengers, and sometimes cyclists or pedestrians. On one day in late August 2015, Ottawa police and OPP ticketed 91 drivers for talking or texting on their cellphones and 43 for other traffic violations. When distracted driving, driving under the influence, excessive speeding or other unsafe actions result in injuries to others on our roads, the result can be a catastrophic and life changing event for the accident victim. When you are injured in an accident, your primary focus should be on your mental and physical recovery. This can best be accomplished when you are not feeling overwhelmed dealing with claims requirements and documents, and with the deadlines involved in processing a claim. An experienced personal injury attorney provides you with peace of mind as your claim is being efficiently and effectively processed, and you are kept abreast on the progression of your case. It is important to consult with our Ottawa ILO personal injury law office as soon as you are able so that you understand your rights and also to prevent you, as the injured party, from making a statement that may negatively affect your claim. We understand that your quality of life is often severely affected when you have been injured in an accident and our goal is to help you through the entire process. You can visit us online and use our easy navigation page to search for a firm nearest to you or call us now for further assistance. We would like to accommodate your needs and can come to your residence if you are unable to meet in our office.